On October 13, 2009, the Secretary of Veterans Affairs (VA) announced that three new conditions would be added to the list of diseases presumptively associated with exposure to certain herbicide agents: hairy cell and other B-cell leukemias, Parkinson's disease, and ischemic heart disease. This web site was created to provide general information about filing claims for service connection for these conditions. VA began adjudicating these claims on October 30, 2010. The questions and information on this website will ensure a Veteran or surviving family member understands the criteria for service connection and the evidence that is required to submit a complete claim. If you are interested in filing a claim, please click on the button below that applies to your situation. VETERANS-File your claim online with Agent Orange Fast Track. Do you have one or more of the new presumptive conditions? Do you have one or more of the following conditions? Please click on the button below that applies to your situation. Were you exposed to herbicides such as Agent Orange while serving in the military? Veterans who served or visited in Vietnam from January 9, 1962, to May 7, 1975, or in certain units in Korea from April 1, 1968 to July 31, 1969, are presumed to have been exposed to Agent Orange. Were you exposed to Agent Orange (herbicides) in Vietnam or Korea during these timeframes? If you were not in Vietnam or Korea, evidence could establish actual exposure to Agent Orange (herbicides) in other locations. Do you feel you were exposed to Agent Orange (herbicides) in service in a location other than Vietnam or Korea? Do you have one or more of the 3 new presumptive conditions due to herbicide exposure? No, I do not have one or more of the listed conditions - This site is focused on claims for B cell leukemia, Parkinson's disease, and Ischemic heart disease due to herbicide exposure. YES, I was exposed to herbicides such as Agent Orange while serving in the military. This site is focused on claims for B cell leukemia, Parkinson's disease, and Ischemic heart disease due to herbicide exposure. Based on scientific evidence, VA presumes that B cell leukemias, Parkinson's disease, and ischemic heart disease were caused by military service for Veterans who were exposed to certain herbicides while they were serving in the military. If a Veteran has one of these conditions and was not exposed to herbicides in the military, then service connection may still be established (on a "direct" rather than a "presumptive" basis) if there is evidence that the disease is related to military service. Do you still want to file a claim for disability compensation benefits? If you have evidence to show you were in Korea in one of the units that operated in or near the Korean DMZ in an area in which herbicides are known to have been applied or can tell us where to get that evidence for you, please send it in with your claim. We have provided links to help you in obtaining records on the last page. Have you received medical treatment for one or more of the three conditions? Although there is no presumed exposure to Agent Orange outside of Vietnam or Korea, a veteran may establish actual (or direct) exposure if evidence shows exposure to Agent Orange. If your exposure to herbicides has not been established by VA, we need documents to show that you were exposed to herbicides. If you have evidence to show that you were exposed to herbicides in service, or can tell us where to get those records, please send it in with your claim. We have provided links to help you in obtaining records on the last page. If you have evidence to show you were in Vietnam or can tell us where to get that evidence for you, please send it in with your claim. We have provided links to help you in obtaining records on the last page. If we have already established that you were in Vietnam, we do not need any additional evidence. Where have you received medical treatment for one or more of the three conditions? NO, I haven't received treatment. To support a claim for service connection, the law requires that you have a current disability. This must be shown by medical evidence or by lay evidence of persistent and recurrent symptoms of the claimed disability. Where did you receive medical treatment? At a military treatment facility. Please provide the name, location, and dates of treatment. However, your claim may be decided faster if you send in the appropriate medical evidence to support your claim. The medical reports must include certain information, such as the diagnosis, that relates to the claimed condition. Depending on the nature of the reports, VA may be able to establish service connection and assign a disability evaluation without further development of evidence or scheduling of additional medical examinations. Do you plan to see your medical provider and obtain medical evidence of your disability prior to submitting your claim? At a private (non-government) treatment facility or hospital. HIPAA privacy rules require we obtain a signed consent form to obtain treatment records from a private medical facility. Please complete a VA Form 21-4142, Authorization and Consent to Release Information to the Department of Veterans Affairs. However, your claim may be decided faster if you send in the appropriate medical evidence to support your claim. The medical reports must include certain information, such as the diagnosis, that relates to the claimed condition. Depending on the nature of the reports, VA may be able to establish service connection and assign a disability evaluation without further development of evidence or scheduling of additional medical examinations. Agent Orange - Where did you receive medical treatment? Please provide the name, location, and dates of treatment. However, your claim may be decided faster if you send in the appropriate medical evidence to support your claim. The medical reports must include certain information, such as the diagnosis, that relates to the claimed condition. Depending on the nature of the reports, VA may be able to establish service connection and assign a disability evaluation without further development of evidence or scheduling of additional medical examinations. What condition will see your medical provider about? What condition do you plan to see your medical provider about to obtain medical evidence of your disability prior to submitting your claim? No - I do not want to see my medical provider prior to submitting my claim. VA may decide claims faster if the medical reports include the diagnosis and history of illness; METS level, determined by exercise testing, when symptoms of dyspnea, fatigue, angina, dizziness, or syncope result (Note: If exercise testing is medically contraindicated, then an estimate of the METS level is sufficient); evidence of congestive heart failure, cardiac hypertrophy or dilatation on electrocardiogram, echocardiogram, or X-ray; ejection fraction percentages if left ventricular dysfunction is present; any continuous medications that are required. Ischemic heart disease is a disease characterized by a reduced supply of blood to the heart. Title 38 CFR 4.104, diagnostic codes 7005 and 7006 shows Arteriosclerotic heart disease and Myocardial Infarction rating requirements at http://ecfr.gpoaccess.gov/cgi/t/text/text-idx?c=ecfr&tpl=%2Findex.tpl. When you visit a medical provider for this condition, please have them complete the questionnaire that is provided, so we can be sure it includes everything we need to reach a decision. VA may decide claims faster if the medical reports include diagnosis and history of illness; whether the leukemia is active or is in a treatment phase. If the condition is not active or in a treatment phase, then medical reports should include the type and date of last treatment and current residual effects from the leukemia. B cell leukemia's are cancers, which affect B cells, such as hairy cell leukemia. See Title 38 CFR 4.117, diagnostic code 7703 for leukemia rating requirements at http://www.gpoaccess.gov/ecfr/. When you visit a medical provider for this condition, please have them complete the questionnaire that is provided, so we can be sure it includes everything we need to reach a decision. VA may decide claims faster if the medical reports include the diagnosis and history of illness; specific findings and full description of impairment of motor, sensory, and mental functioning due to Parkinson's; any continuous medications that are required. Parkinson's disease is a motor system condition with symptoms that include trembling of the limbs and face and impaired balance. Title 38 CFR 4.124a, diagnostic code 8004 shows Paralysis agitans rating requirements at http://ecfr.gpoaccess.gov/cgi/t/text/text-idx?c=ecfr&tpl=%2Findex.tpl. When you visit a medical provider for this condition, please have them complete the questionnaire that is provided, so we can be sure it includes everything we need to reach a decision. You may electronically file your application at http://vabenefits.vba.va.gov/vonapp/main.asp. You can attach up to 5 electronic files to your VONAPP application before you submit it using VONAPP. The total size of all attachment must be one megabyte or less. You will need to send a copy of your/the Veterans military discharge document (DD Form 214) along with all pertinent medical records. You can also file an application for benefits by completing VA Form 21-526 for new claimants, VA Form 21-4138 for claimants who have applied for benefits in the past, and VA Form 21-534 for widow/widower benefits. These forms can be mailed to your local Regional Office. If you have already submitted a claim for benefits, please visit the ebenefits website to view your claim status. If you have questions or comments concerning this website, please contact us using the Inquiry Routing & Information System (IRIS). If you need to obtain a copy of your/the Veterans DD Form 214, you may request one at the following website: http://www.archives.gov/veterans/military-service-records/. You may visit any VA Regional Office and a representative will assist you with filing a claim. Additionally, Veteran Service Organizations can assist you by answering general questions and petitioning on your behalf for services they believe you are qualified to receive. At any time, you may call 1-800-827-1000 to speak to a VA Benefits Counselor. I have previously filed a disability compensation claim with the Department of Veterans Affairs and I now wish to file a new claim for presumptive service connection for one or more of the three new Agent Orange presumptive conditions. 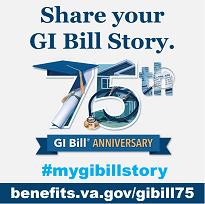 Please send a completed VA Form 21-526b, Veterans Supplemental Claim For Compensation, indicating that you wish a file a claim to the nearest VA regional office. Make sure you include all pertinent medical reports with your statement. You may send a signed statement indicating that you wish a file a claim to the nearest VA regional office. Make sure you include all pertinent medical reports with your statement. You may electronically file your claim online at http://vabenefits.vba.va.gov/vonapp/main.asp. To start the application process, click on the "Start VONAPP" button, read the introductory screens, and create a VONAPP account. Once an account is created, VONAPP will display the "Create a New Form" screen, where you should select VA Form 21-4138, Statement in Support of Claim. Please follow the on-screen prompts to submit the form. Did the Veteran have one or more of the following conditions during his or her lifetime? Was the Veteran exposed to herbicides such as Agent Orange while serving in the military? Where was the veteran exposed to herbicides while serving in the military? NO, Was the Veteran exposed to herbicides such as Agent Orange while serving in the military. Do you want to file a claim? I do not want to file a claim for VA benefits. This site is intended for the use of Veterans and their survivors who wish to submitt benefit claims based on the three presumptive conditions of B cell leukemia's, Parkinson's disease, and Ischemic heart disease. Where was the veteran exposed? If you have evidence to show the Veteran was in Korea in one of the units that operated in or near the Korean DMZ in an area in which herbicides are known to have been applied or can tell us where to get that evidence for you, please send it in with your claim. We have provided links to help you in obtaining records on the last page. Did the veteran receive medical treatment for one or more of the three conditions? Agent Orange - Where was the veteran exposed? Since we presume exposure to Agent Orange for Veterans who had duty or visited in Vietnam or in its inland waterways (often referred to as "brown water service") at any time from January 9, 1962, through May 7, 1975, we need documents to show that the Veteran was there during this timeframe. If you have evidence to show the Veteran was in Vietnam or can tell us where to get that evidence for you, please send it in with your claim. We have provided links to help you in obtaining records on the last page. If we have already established that the Veteran was in Vietnam, we do not need any additional evidence. If you have evidence to show that the Veteran was exposed to herbicides in service, or can tell us where to get those records, please send it in with your claim. We have provided links to help you in obtaining records on the last page. Where did the veteran receive medical treatment for one or more of the three conditions? NO, the veteran didn't receive treatment. To support a claim for these conditions, the law requires that the Veteran had one of the three disabilities. Agent Orange - Where did the veteran receive medical treatment? Please provide the name, location, and dates of treatment. However, your claim may be decided faster if you send in the appropriate medical evidence to support your claim. The medical reports must include certain information, such as the diagnosis, that relates to the claimed condition. Where did the veteran receive medical treatment? Treated in a military treatment facility: At a military treatment facility. Please provide the name, location, and dates of treatment. However, your claim may be decided faster if you send in the appropriate medical evidence to support your claim. The medical reports must include certain information, such as the diagnosis, that relates to the claimed condition. Treated in a private (non-government) treatment facility or hospital: At a private (non-government) treatment facility or hospital. HIPAA privacy rules require we obtain a signed consent form to obtain treatment records from a private medical facility. Please complete a VA Form 21-4142, Authorization and Consent to Release Information to the Department of Veterans Affairs. However, your claim may be decided faster if you send in the appropriate medical evidence to support your claim. The medical reports must include certain information, such as the diagnosis, that relates to the claimed condition. I have previously filed a Dependency and Indemnity Compensation claim with the Department of Veterans Affairs and I now wish to file a new claim for presumptive service connection for one or more of the three new Agent Orange presumptive conditions. You may electronically file your claim online at http://vabenefits.vba.va.gov/vonapp/main.asp.